Lennie Tristano was one of jazz’s most extraordinary innovators, possessing a superb piano technique and an awesome musical imagination. Unheralded by the general public, the blind pianist’s work was revered by many jazz greats including the legendary Charlie Parker. Tristano’s persuasive personality made him an ideal teacher, and he proved that (against the accepted theory of the time) jazz improvisation could be taught. His guidance played a big part in the development of many instrumentalists including saxophonists Lee Konitz and Warne Marsh and double-bassist Peter Ind. It is Ind’s long, direct involvement with his subject that makes this such a revealing book: the story of an English musician going to New York to study with a neglected Jazz giant. In the process, Tristano's genius is examined and his reputation revalued, with Ind making a persuasive case for the pianist to be placed at the centre of jazz developments in the mid-20th century. 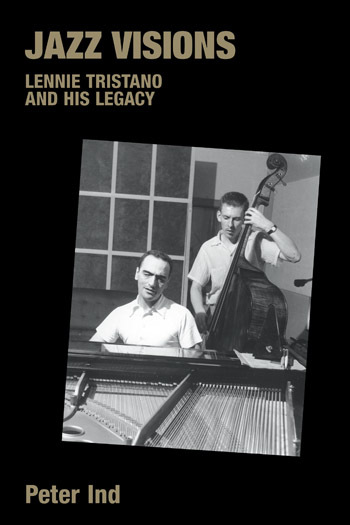 'This book is just what is needed to inform musicians, students, teachers, and historians around the world with an “up close and personal” view of the genius of jazz pianist/composer/teacher, Lennie Tristano. Bassist, Peter Ind describes vividly how exciting it was to be living in New York City as a creative musician. Peter’s writing skills throughout will also enlighten and entertain the novice and non musician as well. The best part for me, is that it was written by a great player who was there right in the thick of it all. Peter’s book on Lennie may have been a long time in coming, but it was well worth waiting for and the Jazz World owes a significant debt of gratitude to him for writing it and to Equinox for underwriting its publication.